Do you stare yourself at the mirror and hate yourself? Do you feel disgusted? Or does your conscience hurt? Do you long for a change? That lush job or a great boyfriend that she has? Or do you simply beg to God to just make you happy? I confess, I have been there. So what do you do when you are sad, lonely and depressed? Stay that way? Let’s find some way to be your happy self. For hurting your friend| For being bitchy| For being rude to your parents| For doing that something which you regret| What’s done is done! High time you put it behind you. I shared a quote with you yesterday! “She’s my person! If I murder someone she is the person I’d call to help me drag the corpse across the living room floor. She’s my person”. Do you have one like that? To share your deep dark secrets which you wouldn’t have dared to share with your bestie or your mom. I never believed in having a person until I got one! Until then, all I thought of was suppressing my sadness within. And what did that bring? Hurting your conscience each day- for no fault of yours? Have that someone in your life to back you up, to tell you, you are wrong when you are, to share your sadness and happy times. It does make a difference! Trust me! Which till date I couldn’t. I have been asked to. I could forgive those who had hurt me and torn me to pieces, but I’m too bad in forgetting it. All I feel is God has left you with scars as a reminder- that things were wrong and now the wounds have been healed. Isn’t that a beautiful way to think? Oh yeah, I have been asked to find that one thing that makes me happy. I usually listen to some party songs when moody 😛 I shake my leg and yes, it’s gone! The hurt is actually gone! If I’m pretty sad, I go to sleep. Oh yeah, I do! As said in Gone with the Wind, “I’ll think of it tomorrow, at Tara(her home). I can stand it then. Tomorrow, I’ll think of some way. After all, tomorrow is another day.” It’s definitely not procrastination. But it does help clear your mind. Agree? Breathe! Eat! Dance! Sing under the shower (at least) ! Cry! Laugh! Smile! Dance in the rain! Smell flowers! Get some sunlight! Get out of that bed! Take a walk! Read! Watch Friends! Have chocolate and loads of it! Hug! Kiss! Pamper yourself! Visit a spa! A saloon! Get a haircut! Shop! Buy that one expensive footwear you always wanted! That handbag! That watch! It’s about you! 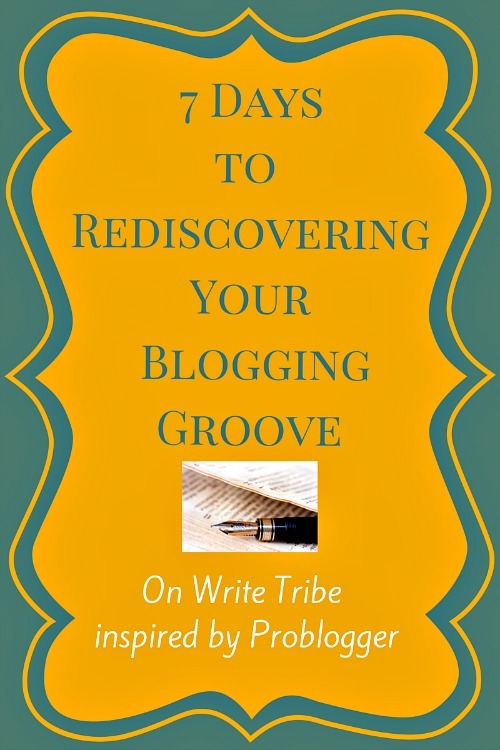 Today is Day5 of the Write Tribe’s 7 Days To Rediscovering Your Blogging Groove. And it’s all about Writing a tip post!! What a insightful post with good lessons! Love the idea behind the post. It is a winner!! Thanks very much, Inderpreet. Glad you liked. Keep visiting! I have nodded at all the points here..I have my person and I also do something that keeps me happy…I forgive myself because if i don’t love myself no one else will! Wonderful tips for a happy life. Forgiving others and Forgetting is a bit tough initially but when you do it, it is the bestest gift that you give to yourself. I know, I have been told so many a times!! Trying to!! 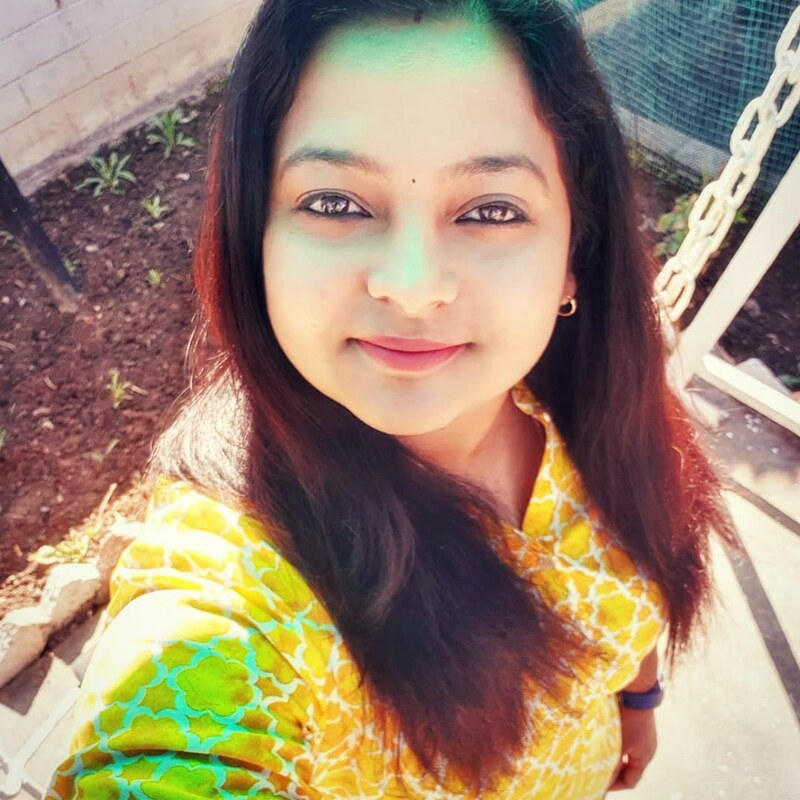 🙂 Thanks for stopping by, Shilpa! Love your tips. Good advice. I especially like the last one with all those fun things to do to get out of your awful mood. Fun stuff!